In the highly competitive world of airlines customers are used to seeing great sale fares from low cost carriers on a regular basis. Many customers however have learnt the hard way to be quite dubious of these offers knowing that on top of that great fare will be extra charges for seats, meals and usually – at the highest cost – checked luggage. Many passengers have adapted to this model and manage to fly with hand luggage only (“HLO”). However in response to this, major low cost carriers such as Jetstar, Tigerair and AirAsia have all implemented 7kg luggage allowances for carry-on baggage making it nearly impossible for most travellers to travel without checked bags. Being very much a bargain hunter myself when it comes to flights, I’m determined to still beat the system. What I’ve learnt is that with the right actions you don’t need to be as low-maintenance as you might think. This is the most important tip. 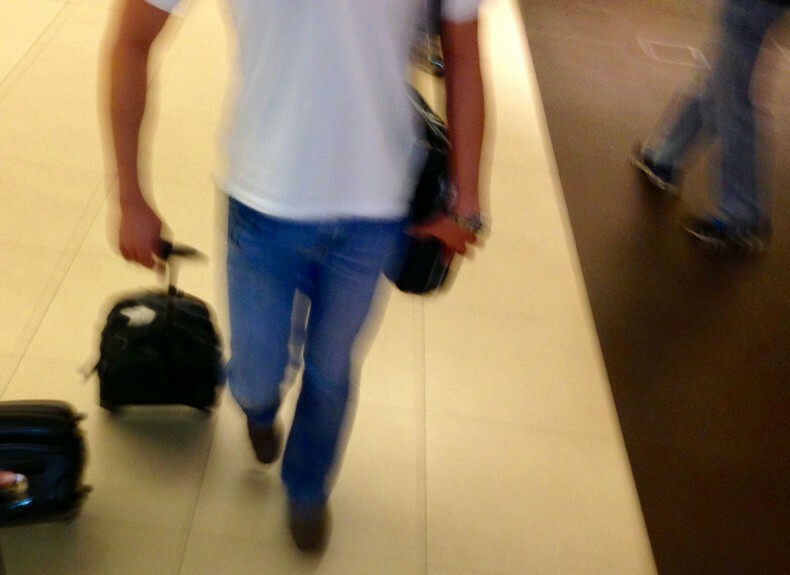 The first 2-3 kilograms of your luggage will always the bag itself. Eliminate this by using extremely light bags such as polyester. IKEA stock a range of ‘fold-out’ polyester duffels and backpacks that weigh from just 0.2kg. I find mine can fit about 5 days of clothes with enough room for basic toiletries and device chargers. 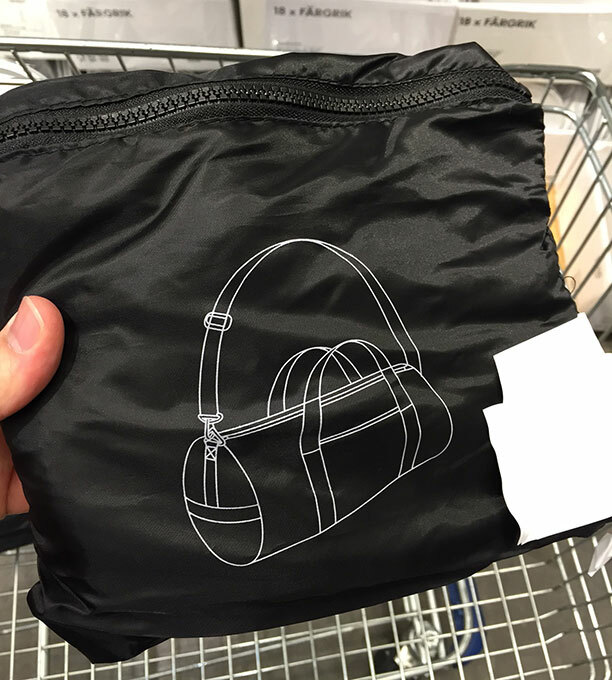 The final weight is usually 4-5kg and the bag is even machine washable. The best part is it only costs AUD $5.99 (with IKEA FAMILY card). Not everyone will like this tip, but the plan also falls apart without it. Try to think about the outfits you’ll need for the trip and specifically what you’ll be wearing each day and pack accordingly with maybe 1-2 buffer options (in case of staining etc.). You may find yourself repacking – be brutal – cull, cull, cull! Wear heavy articles of clothing such as your coat, jeans, belts and dress shoes on the flight itself to save on your checked luggage. This will reduce your luggage weight dramatically. Airplanes are always cold in flight and you’ll almost certainly be glad you’re wearing these items, plus you’re doing your bit to lift the standard of passenger attire, which may also put you in good stead with the cabin crew. Do you really need every item in your bathroom cabinet? Probably not. Most hotels will be well equipped with the essentials, such as soap, shampoo and conditioner, and often a shaving kit. If you must take something like, say, a special shampoo or medicated item, perhaps use travel bottles to take a smaller quantity of the product. This will be essential for international travel as current guidelines prohibit liquids over 100ml to be taken on-board (except purchases from duty free stores). Aerosols are also banned internationally. Also as long as you can locate a supermarket near your hotel you can usually purchase items you may need very cheaply at your destination. If you intend to carry a tablet or even just a smartphone, utilise e-books instead of hard copies to save on weight. Save soft copies of essential documents such as hotel bookings and flight itineraries to your device. Just make sure a printed copy isn’t required for check-in and immigration purposes and that you will have sufficient battery or a power bank to support this. If you follow these steps you’ll enjoy the savings and convenience of HLO travel. Just make sure you actually weigh your luggage and are under the limit as airlines strictly enforce excess baggage fees at the airport. Also be mindful of the restrictions on the dimensions of your luggage. These will be outlined on the airline’s website. The benefits of HLO travel include; having access to your things at any stage in the flight, admiration from your friends and family (the most experienced and savvy travellers always go HLO), no wait at the baggage carousel and mostly importantly, actually paying the advertised fare (or a lot closer to it).